Posing happily for a selfie in a blue crop top and leggings, Simone Anderson oozes body confidence. But rewind to August 29th 2014 and an earlier selfie tells a different story. Having struggled with her weight her entire life, the 25-year-old make-up artist from Auckland had decided that after tipping the scales at 169kg it was time to kiss goodbye to the quick-fix diets and overhaul her entire health and fitness regime. The selfie she shared as she made the life-changing decision to transform her body was to be the first of many documenting her fitness journey. And now after shedding an astonishing 92kg she wants to inspire others with her incredible transformation. “I had no pressing health issues, but it was getting harder and harder to do day-to-day things,” she told news.com.au of the decision to kickstart her weightloss. 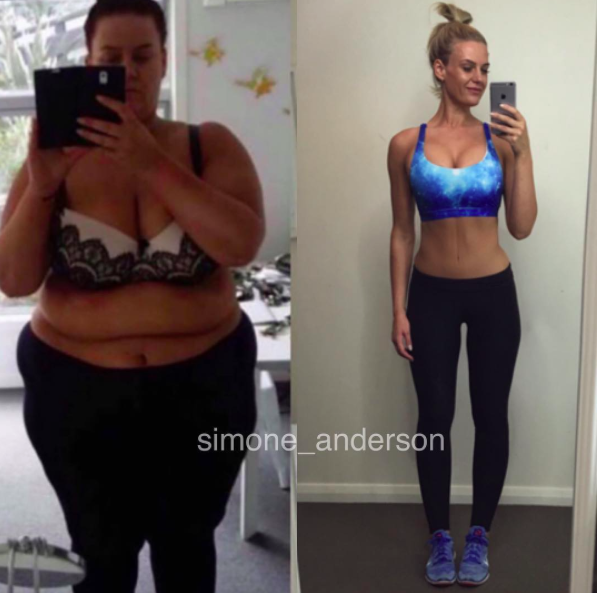 On October 29th 2014 Simone underwent Gastric Sleeve surgery and in less than 12 months, had managed to lose an amazing 92 kilograms (202 lbs), while documenting the entire journey on Instagram. 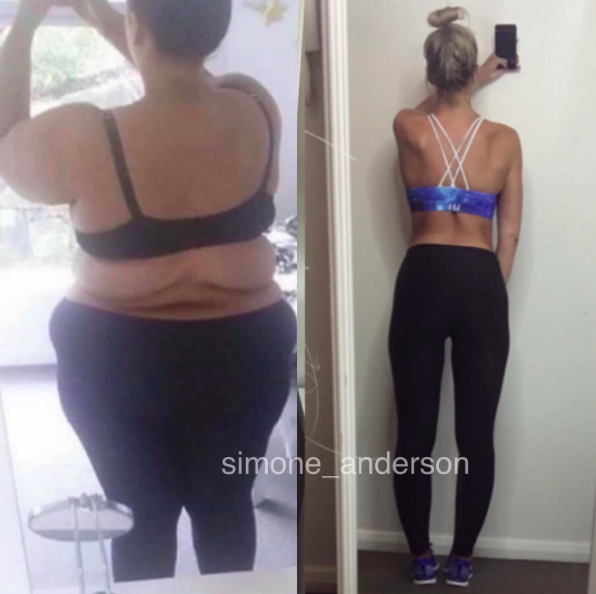 But as Simone continued to shed the pounds, she was left with excess skin on her slimmed-down frame. Though it didn’t bother her, the excess skin did lead to bleeding and sometimes infection when she exercised. Doctors explained that no amount of diet or exercise would remove the excess skin so in late 2015, she underwent a nine-hour surgery to remove it. And she’s thrilled with the results. Taking to Instagram to share an update on her body transformation she explained how life-changing her journey had been. “I have completely changed my lifestyle, diet and exercise. I am 33 weeks post-op abdominoplasty, bra line back lift, breast lift & augmentation,” she wrote.